Perhaps their privacy concerns are somewhat legitimate, but this is still rather silly and overblown in my books. Facebook says it deletes any data gathered within 90 days. Weichert is also going one step further in his concerns regarding privacy by urging Internet users not to set up Facebook accounts and not to click on any “Like” buttons in order to avoid being profiled. Weichert needs to realize that going online is a bit like walking down the street in broad daylight. Sometimes, people are just going to see you – and recognize you. This is advice that I give everyone: If you rely on your name for business-related purposes (writer, entertainer, sales, etc. ), it’s always a good idea to get your hands on the domain that matches your name. 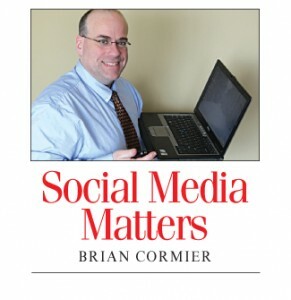 For example, I own briancormier.com and briancormier.ca. Those are the natural URLs someone would try if they are looking for me. 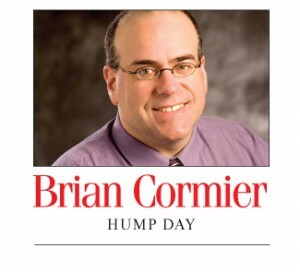 It also gives me a very easy-to-remember e-mail address – brian@briancormier.com. Owning your own personal domain name is a necessity in today’s world. You can buy domain names from a number of services, including Namecheap (this is the service I personally use), 1and1 and GoDaddy, to name just a few. Part of your personal branding should include owning your own domain name. Even if you never use it, you should at least control it. It’s also very important to reserve your personal name on Facebook, YouTube and Twitter if you can. If you don’t do it, someone else will! Recent changes to Facebook have good and bad news for users. First, the bad. I despise the fact that others can automatically add you to a group without your permission. I’ve been added to groups by others and it drives me crazy. Sure, you’re alerted and can remove yourself, but people really should ask before adding you to a group without your permission. It’s likely OK if you’re a member of an organization and that organization starts a group. For instance, I’m joining a local Rotary club and we have a new Facebook group. It would be reasonable for the group’s owner to add me without asking first. I have a natural affinity to the group. However, before adding someone to a political or advocacy group, it’s never a good idea to do so without asking the person’s permission first. Also, it’s important to know that you can stop receiving endless e-mails and notifications from a group simply by clicking on the “Edit Settings” tab at the top of the group’s page. Choose the e-mail options and alerts that suit you best. It’s also not a great idea to send out a Facebook message to multiple recipients because the many replies are automatically sent to everyone. There’s e-mail for that. To remove yourself from such a list, click on the “Actions” tab at the top of the message and choose “Leave conversation.” That will ensure you will stop receiving replies to a message you didn’t want or ask for in the first place. The ability to remove yourself from a conversation is a much-welcome new Facebook messaging feature! Each week, I feature three YouTube channels that you may want to check out. This week’s videos all deal with nail art – as in art painted (or sculpted) on your fingernails. (Who knew? I didn’t, but it’s very popular, apparently.) Please note that all subscriber numbers are approximate only. Cute Polish (155,000 subscribers): This popular channel features nail art tutorials on how to paint unique designs on your fingernails. Most-viewed tutorial: Newspaper Nail Art (1.27 million views). Cosmozoner (13,300 subscribers): Videos feature nail painting and 3D acrylic nail sculpting. DVDs are also available. Most-viewed tutorial: Nail Art by Liliya Sereditskaya (Breath of Spring) (942,000 views). My Simple Little Pleasures (54,000 subscribers). Tutorials on nail art and water marbling by Colette. Most-viewed tutorial: Valentine’s Day Water Marble Nail Art Tutorial (3.03 million views). It seems like even those who don’t like politicians agree on one thing. If there was one politician they could tolerate – even like and respect – it was Jack Layton, the affable and feisty leader of the federal NDP who led the party to historic election results on May 2 and became leader of Canada’s official opposition. On July 25, when he announced that he was stepping aside from the party leadership – temporarily, he said – to fight a recurrence of cancer not related to his previous battle with prostate cancer, he appeared gaunt and his voice weak. An interim leader of the party was selected. Nycole Turmel would lead the party until Jack received treatment and returned in the fall – likely September. Hopefully, by then, he would be back to his old self. Even if you’d never voted for him, Canadian politics without Jack Layton seemed unimaginable. After going public with his prostate cancer on February 5, Jack didn’t seem to waiver. He still seemed strong. He still appeared virile and energetic. He went through the election campaign like a trooper, all while using a cane after undergoing hip surgery. Prostate cancer and hip surgery could not keep him down. After leading his party to 103 seats in the election, he seemed unstoppable. This was his chance to shine. Canadians had given him the opportunity he had always dreamed of having. Then, on July 25, he appeared at that fateful surprise news conference. The Jack Layton of old – physically unstoppable, athletic and strong – appeared weak and terribly thin, his jaw line looking razor sharp due to recent weight loss. While his spirit was undaunted, the physical toll this new cancer had taken on him was clearly undeniable. He did not announce what kind of cancer this second bout was. Some have speculated it was bone cancer or pancreatic cancer, the latter being infamous for often being brutal, unforgiving… and fatal. In the weeks after July 25, not many updates were given on his condition. In fact, the first real news anyone heard about how he was doing came on Monday morning in a shocking announcement from his wife, fellow NDP MP Olivia Chow, and his two children. When the news hit the media, it sent shockwaves throughout the country. News of Jack’s untimely death rocketed around the country through Facebook and Twitter. In fact, at one point on Monday afternoon, the term “RIP Jack Layton” was the second most popular trending topic on Twitter in the world. It takes something pretty substantial to happen in Canada for it to trend internationally on Twitter. Other than Justin Bieber, the Canadian teen superstar who regularly trends on Twitter, it’s not often that a person or event from this country is mentioned so often on Twitter that the international community takes notice. It’s a testament to the respect that Jack enjoyed from all Canadians that so many people were deeply touched by his death. Even for those who had not voted for him – and would never vote or him – many couldn’t help but feel a sense of sadness upon hearing that he’d lost his battle with cancer. If cancer could beat him, it could beat anyone. He represented hope, guts, tenacity. We admired that in him. He was unshakable. He seemed like the type of man who would stand before Godzilla and crack his cane across the monster’s kneecap and tell him to get the heck out of town. We expected him to take on government, big business, anyone who he perceived to be hurting or doing injustices to Canadians – for whatever reason. He was that type of man – a defender. He exuded hope and optimism. Many Canadians disillusioned with the political process looked up to him as a politician they could admire. But with all that said, Jack’s latest Godzilla monster would not be deterred by a smack across the kneecap from his well-travelled cane. Cancer came a-callin’ – and this time it meant business. Despite the fact that cancer is a far cry from the death sentence it had been years ago, sometimes it’s just a sad fact that some don’t survive. That’s the terrible thing about cancer. So many people live long and happy lives after being diagnosed. They are successfully treated and live happily ever after. Others just don’t make it. It’s one of the great mysteries of life. Jack Layton died too young. He was only 61. At one time that was old. These days, it’s still practically a baby. I don’t mind admitting that I teared up when I heard he died. I liked him. I admired his courage. I admired the way he stuck to his guns on matters of principle. Many people felt like he had their backs – even those who’d never vote for him. Canada needed Jack Layton. We weren’t done with him yet. May he rest in peace. FREDERICTON, N.B. — Permethrin is a common insecticide found in many over-the-counter flea and tick “spot on” products. 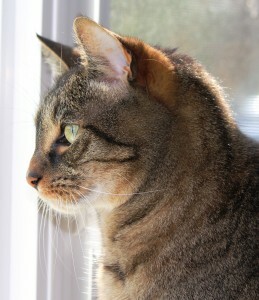 While dogs generally tolerate it, it is poisonous to cats. Signs of permethrin intoxication include excessive drooling, weakness, staggering, convulsions and, possibly, death. It is very important to pay attention to warnings on the product labels and packaging. If you accidentally put permethrin on a cat, wash the animal immediately and thoroughly with a mild, non-insecticidal shampoo and contact your veterinarian. Cats can be accidentally poisoned if they groom a dog on which permethrin has been freshly applied. It is therefore important to separate cats from permethrin-treated dogs in the household.